I finally got my hands on one and upon arrival, I had mixed feelings of excitement and disappointment. I was excited because this is the moonwatch, a vital piece of history in the United States, a beautiful piece of equipment made from steel and plastic that survived multiple trips into space and onto the Moon. I was disappointed because upon picking it up, I thought to myself…this is it?? I think I over hyped the watch far too much over the years that I was lusting for it. It’s very light, tall and although it photographs so beautifully, the dial is actually quite cluttered in person. i just didn’t realize how small this watch was. All the hash marks and subdials that looked so good in photos, seemed to detract from its beauty in real life. I realized that I prefer watches with simple, strong and bold dials. I realized that my love was for dive watches. For me, there is just too much going on in the dial of the Speedmaster. It’s also a bit hard to read because the subdials are quite small. But my God, it is a beautiful watch when looked at up close. The aged tritium gives a nice even yellow patina without the overly worn dial look of older vintage Speedmasters. I love the chunky pieces of steel that make up the crown protector, the twisted and curved lugs are just so beautiful, and the chronograph subdials are sunken in ever so slightly to give the dial a bit of depth and texture. The 1861 movement is a workhorse that stores 2 full days worth of energy on a full manual wind. You’ll have to wind this watch up regularly if you want it to stay running because there is no self winding rotor in it to find the coil spring. It takes about 40 turns of the crown in the 0 position to wind it fully. You’ll know that you’ve wound it fully when feel resistance while turning the crown. Also let’s please dispense with the rumor that self winding watches don’t work on the moon. 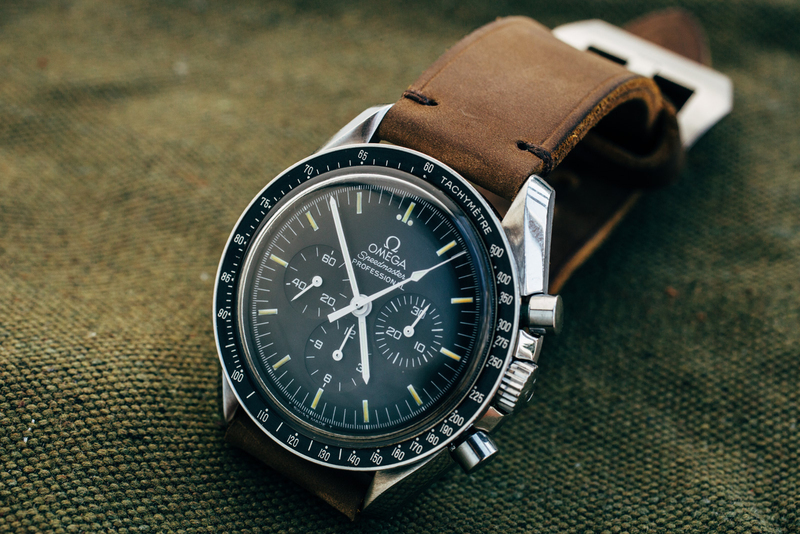 Self winding watches do work on the moon, in space etc and that was not the reason why the Speedmaster, a manual winding watch, was chosen by NASA. I’ll save that for a separate post. Overall, it’s a wonderful watch. One that I may not always reach for if I have a dive watch handy, but one that I will want in my collection because hey! 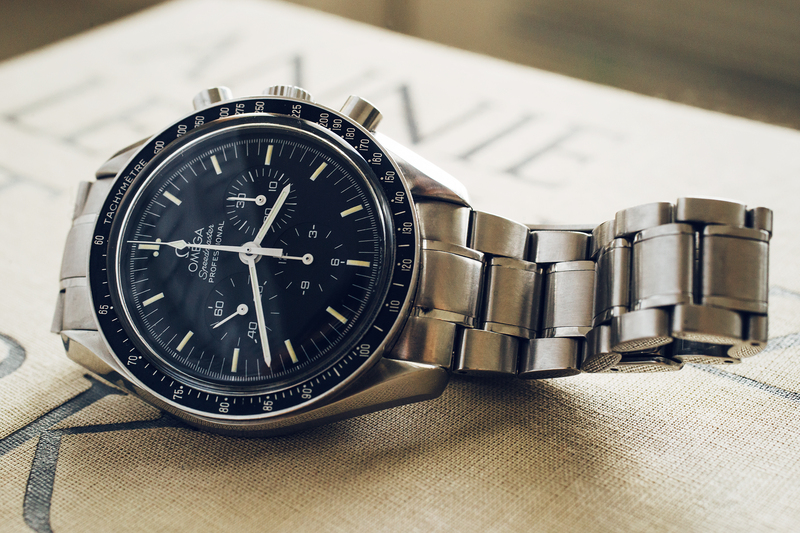 it’s a Speedmaster Professional.